Jeff has consulted for the former Los Angeles Community Redevelopment Agency and the Housing Authority for the City of Los Angeles. Prior to founding Levine Management Group, Inc. in 1997, Jeff was the President of Ronald Levine Construction & Investment Corp., which he joined in 1978. Jeff has served as an elected member of the Los Angeles City Community Action Board and as a board member and Vice President of the Assisted Housing Management Agents. 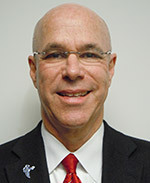 He currently serves as a member and past Chair of the City of Beverly Hills Traffic & Parking Commission. Jeff is a member of the Program Advisory Board at Fremont College, School of Real Estate and Property Management, Board of Directors of the Venice Community Housing Corporation, is Chairman of the J2 Charitable Family Foundation, and is active in other civic and philanthropic organizations. He is a graduate of the University of Southern California, a licensed California general contractor and real estate broker. Jeff is also a fourth-generation Angeleno. The Levine family has been well known for more than 75 years throughout business, banking, politics and philanthropic organizations in the Los Angeles area. Mark has worked at LMG since 1994. He has held the position of Director of Property Management since 2003, prior to which he was Director of Operations, Director of Purchasing, and Property Management Administrator. In his current role, Mark oversees the daily real estate management operations, including maintenance, capital improvements, budgeting, and inspections of all the company’s managed properties. Prior to joining LMG, he worked in Purchasing for G&K Management Company. Mark holds a Bachelor of Arts in Business Administration from California State University, Los Angeles. Michele has more than 20 years of real estate experience in both New York City and Los Angeles, and started at LMG in 1998. Michele has extensive knowledge of the affordable housing industry, including tax credit, HUD, LAHD, HOME, bond, land use and special needs programs. As Director of Housing and Compliance, she oversees daily management operations as it relates to compliance monitoring, rent comparability, acquisition rehabs, training, marketing, advertising, and leasing up of LMG’s affordable housing portfolio. Michele has been active with non-profit organizations, including Habitat for Humanity, Veterans Outreach Project, Meals on Wheels, The Silver Lake Historical Collective, PATH Homeless and Senior Outreach. Michele holds a Bachelor of Arts degree from New York University.